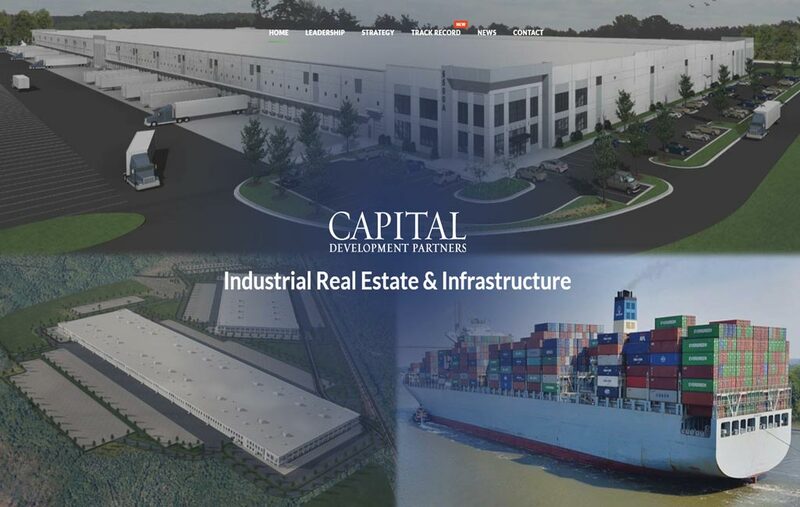 Capital Development Partners has completed more than 100M SF of industrial projects for eCommerce, distribution, manufacturing and government services customers. 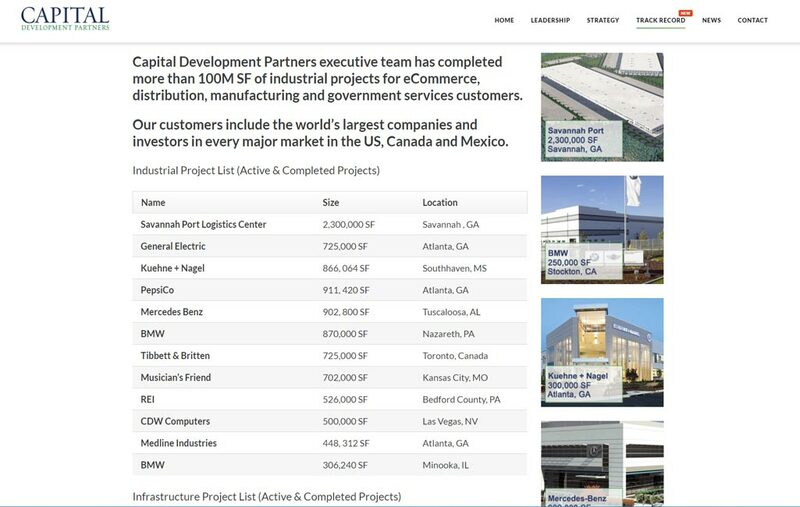 Their customers include the world's largest companies and investors in every major market in the US, Canada and Mexico. 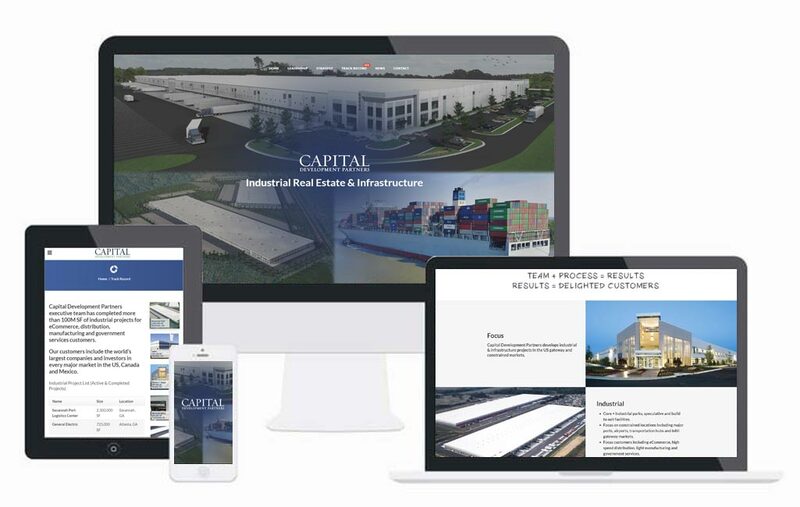 Truevine built Capital Development Partners a professional, lean and state-of-the-art responsive website to showcase their business and accomplishments. 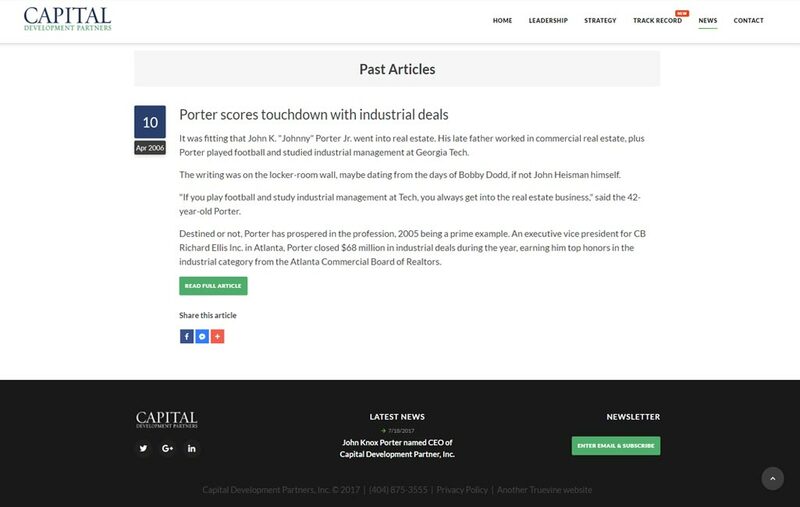 An industry leader like Capital Development Partners needed an industry-leading website. Mission accomplished!